US air strikes bombarded an al Shabab training camp in Somalia on Saturday, killing more than 150 militant fighters who were preparing to launch a large-scale attack, likely against African or US personnel, the Pentagon said Monday. Multiple drones and manned aircraft launched missiles and bombs on the site, called Raso Camp, which the US had been watching for several weeks, said Navy Captain Jeff Davis, a Pentagon spokesman. News of the attack comes as the White House announced on Monday that it will disclose how many people have been killed by American drones and other counter-terrorism strikes since 2009, when President Barack Obama took office. Lisa Monaco, Mr Obama's counter-terrorism and homeland security adviser, said the report will be released "in the coming weeks", casting it as part of a commitment to transparency for US actions overseas. Ms Monaco said the figures would be disclosed annually in the future, although it will ultimately be up to Mr Obama's successor to decide whether to continue the practice. The report will include both combatants and civilians the US believes have died in strikes. It will not cover major war zones like Iraq, Syria and Afghanistan, but will focus on strikes against extremist targets in other regions such as Pakistan, Libya, Yemen, Somalia and other locations in North Africa. "We know that not only is greater transparency the right thing to do, it is the best way to maintain the legitimacy of our counter-terrorism actions and the broad support of our allies," Ms Monaco said at the Council on Foreign Relations. The Pentagon on Monday provided some details about the Somalia strike, which happened during the early evening there. Davis said it appeared that the training was about to come to an end, and the operational phase of a suspected attack was about to start. Military forces from the US and the African Union Mission in Somalia (Amisom) are routinely working in the country, and Capt Davis said they could have been the targets of al Shabab's planned attack. The camp, located about 120 miles north of Mogadishu, was destroyed, Capt Davis said, adding that the US believes there were no civilian casualties. He said the US estimated that as many as 200 fighters had been at the camp, including a number of trainers. 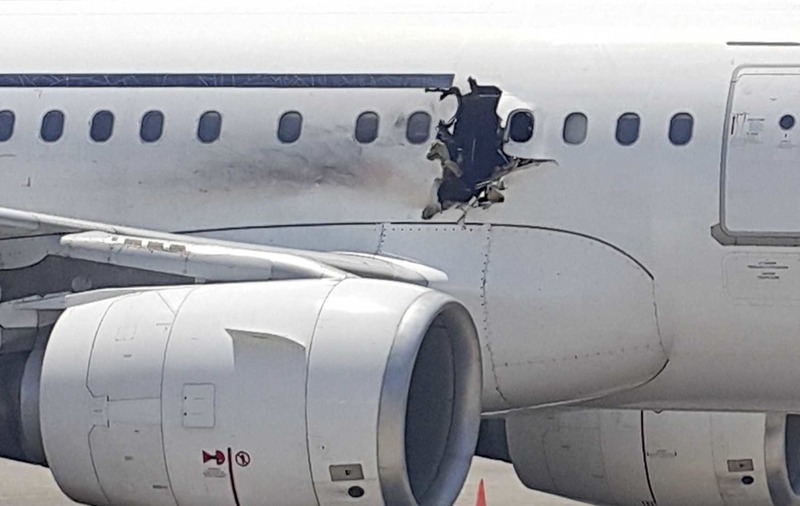 The al Qaida-linked al Shabab has been linked to a number of attacks, including the detonation of a bomb aboard a commercial passenger jet last month that forced the plane to make an emergency landing in Mogadishu. While sketchy details often emerge about individual drone strikes, the full scope of the US drone programme - conducted by both the Defence Department and the CIA - has long been shrouded from view. And the new report is not likely to answer all of the questions. The US does not publicly disclose all the places its drones operate, so the report is not expected to detail specific countries where people died. Instead, it will offer an aggregate assessment of casualties outside of areas of "active hostilities" - a designation that takes into account the scope and intensity of fighting and is used to determine when Mr Obama's specific counter-terrorism policies apply. Iraq and Syria, where US air strikes are pummelling the Islamic State group, currently are on that list and will not be in the report, said a senior administration official. "There will obviously be some limitations on where we can be transparent, given a variety of sensitivities - including diplomatic," said White House spokesman Josh Earnest. Mr Obama's move to shed more light on the drone wars comes as the US struggles to contain extremist groups and violent ideologies that are growing and spreading. For example, the Islamic State group that the US-led coalition is fighting in Iraq and Syria is spreading to under-governed places in Libya and Afghanistan, and is spawning affiliates and recruits around the world.